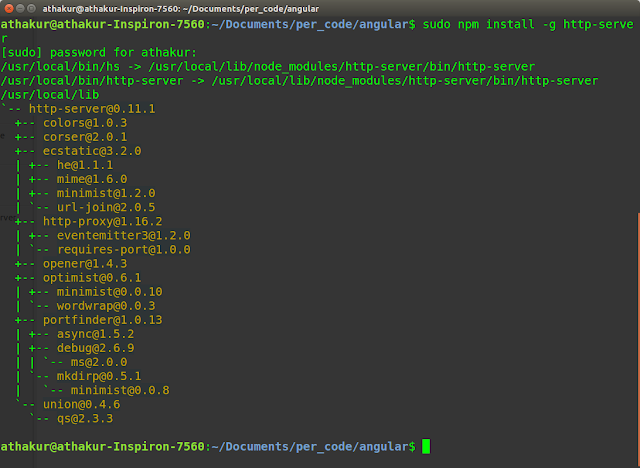 In the last post, we saw AngularJS Hello World example. In this post, we will see how we can create an angular JS app with routing using UI-Router module. If you have not read the previous post I would highly recommend you read that first. helloWorld.html : Our main HTML file. Starting page similar to the last example. helloworld.config.js : Config for the module. NOTE : -o option is to open browser. 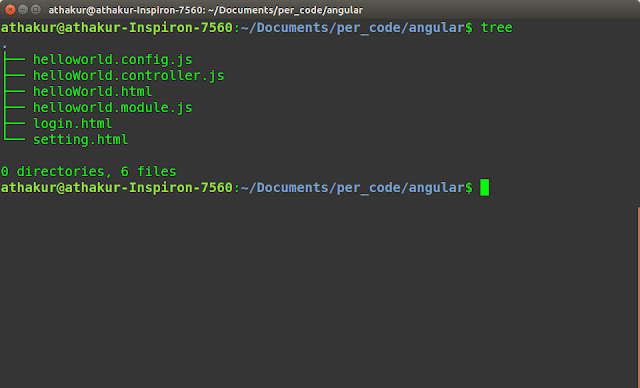 In this base HTML file we have just referenced other angular JS files that we need. An interesting thing to note here is the ui-view tag. This is where the injected code goes. But we will see that in a moment. This code just declares your module as we did in last example. Only change is that it has an additional dependency on ui.router module. Note we have included a new script in helloWorld.html to get code for this module. This is a controller of the module we defined. This is again same as we did in last post. No new changes here. This is actually the routing logic. For eg. if it encounters URL "/login" it will render page "login.html" that we have in same folder. Same for setting.html. But wait what happened? I thought the code was supposed to be injected at tag ui-view. And now it should replace ui-view tag.